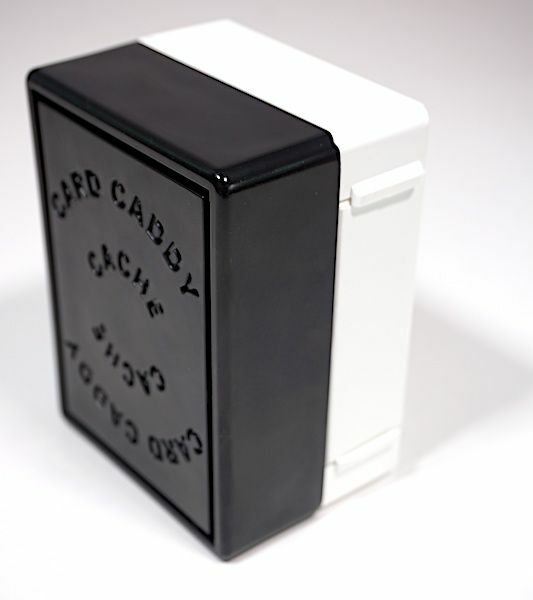 At its core, the Card Caddy is a hard-sided box to hold a deck of cards. Once open, you can re-attach the two sides to create a draw/discard tray. The double-decker box is good for UNO or two decks. Good news for players of Magic: The Gathering – the double size will also hold up to 60 sleeved cards! 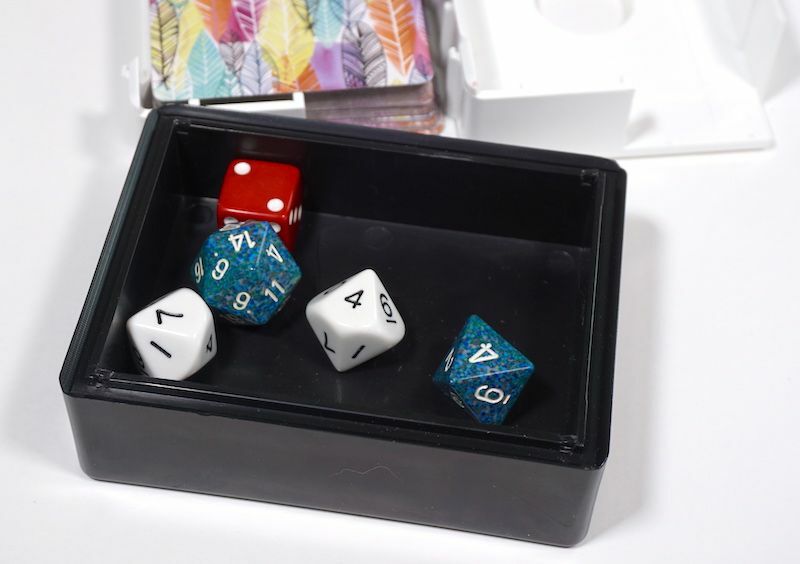 Attach a Card Caddy Cache to carry a few dice or bits. 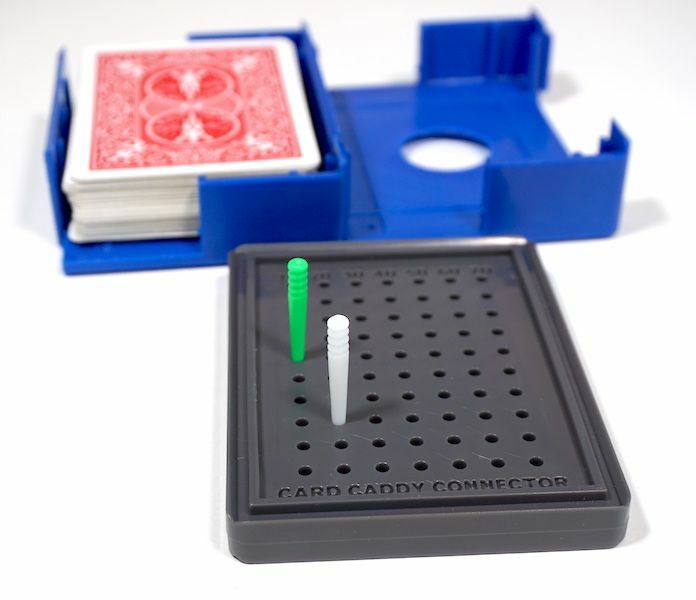 The connector can attach two Card Caddies, but also doubles as a highly portable scoreboard. The pegs store on the opposite side. No rating on this review, since the Card Caddy isn’t a game and doesn’t fit our usual format. However, we highly recommend it to anyone looking for a better way to store cards for playing on the go. 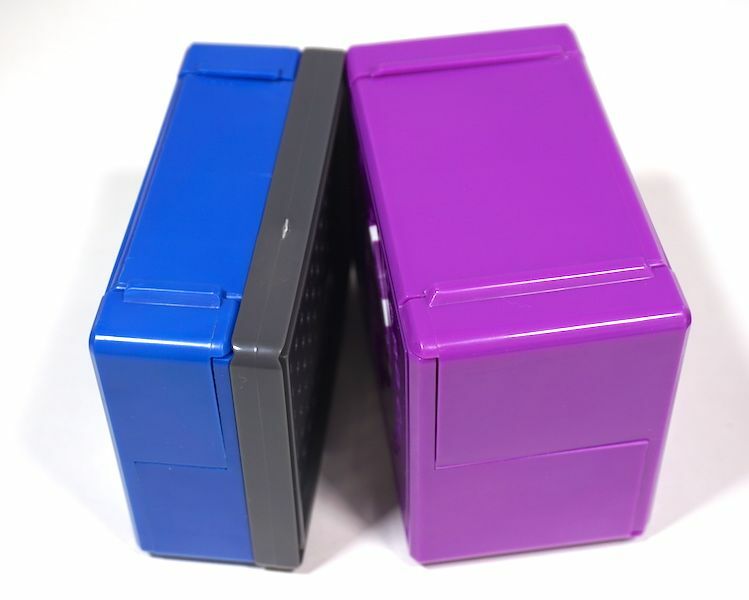 A single-deck size box can be found for about $6, and a double-deck box is only slightly more. Find them on Amazon or on the Narrows Hill (manufacturer) website. 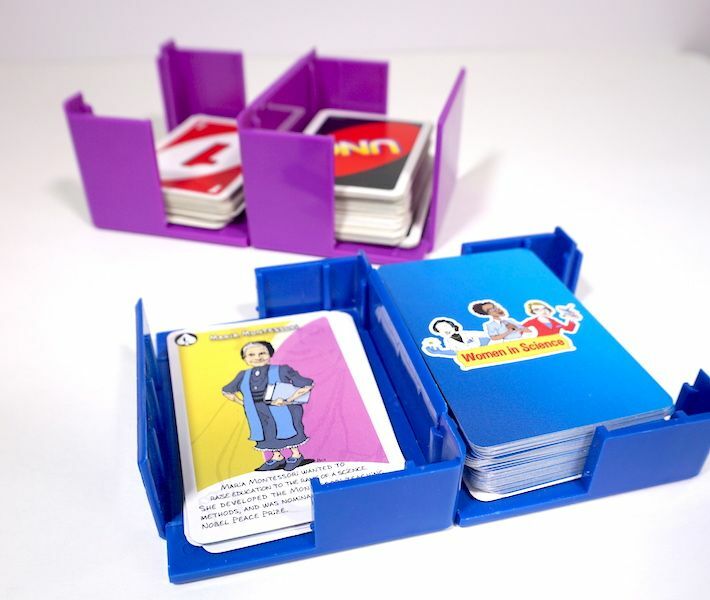 The Family Gamers were provided samples of Card Caddy and accessories for this review.